Its a weird thing to do it as so obviously worded as a marketing email, mentioning that Nutella would be secretly shipped to stores at night, but came complete with a fake retraction email about an hour later. 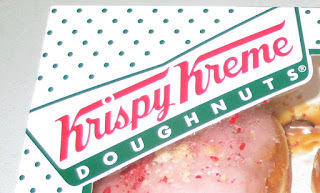 I suppose the part I can't argue with is that it got my curiosity up and the next time I went to Krispy Kreme I ordered myself a Nutella doughnut. When I ordered the doughnut the cashier asked if I wanted to buy a mini jar of Nutella with my doughnut, I'm not sure why... I know it is a Nutella doughnut but the two items don't go together that well. If I'd gone for a strawberry jam filled doughnut you wouldn't expect to be up-sold a jar of jam. Oh well I declined. 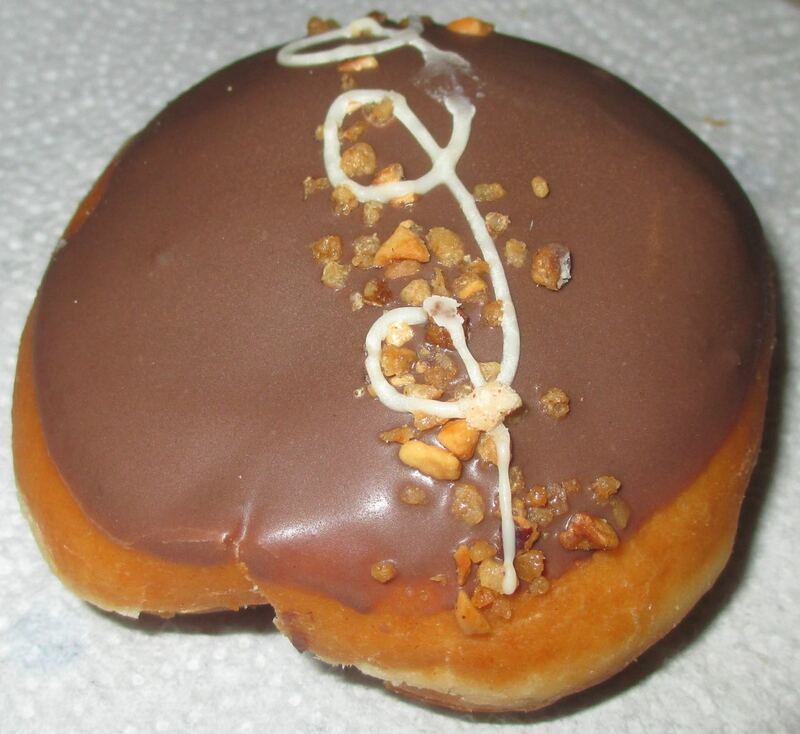 The new Nutella doughnut comes chocolate topped with a decorated sprinkle of nuts. I bit in and found a huge dollop of Nutella in its centre, a seriously generous portion. The flavour of the Nutella with the doughnut base worked like a dream together, chocolate hazelnut and soft doughy goodness, what more could you want. I enjoyed every chocolatey bite, and I think this doughnut it going to be staying on the Krispy Kreme menu for some time. 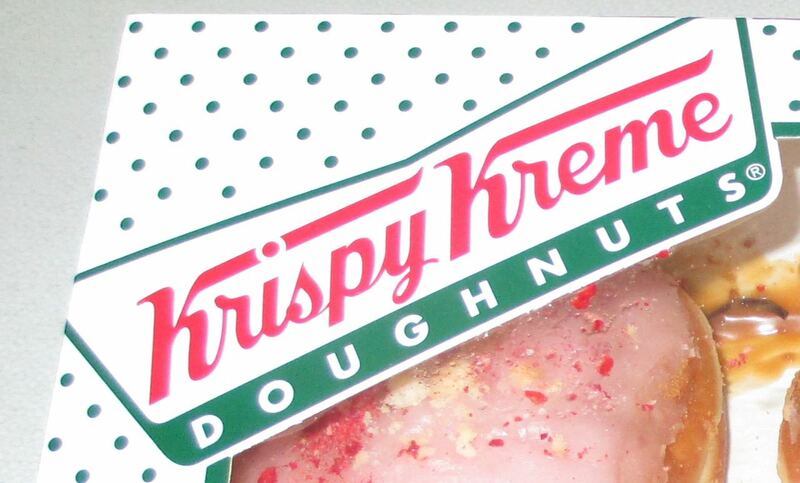 I may not totally be getting Krispy Kreme's marketing but one thing I do get is their doughnuts. With that they cant go wrong.